The BCS aims to promote and support both the healthcare professionals who work in cardiology across the UK and the patients for whom they want to encourage the best possible treatment. Their members are healthcare professionals, working in the field of cardiovascular health. The BHF are the UK's national heart charity and the largest independent funder of cardiovascular research. Their mission is to win the fight against cardiovascular disease and their vision is a world in which people do not die prematurely or suffer from cardiovascular disease. "Familial arrhythmia” is an umbrella term covering a wide variety of electrical diseases of the heart. These diseases which give rise to abnormal heart rhythms can in some cases become life threatening. FANS was formed to bring together the expertise of a variety of clinicians from all over the country, who will work together with patient representatives and other healthcare professionals to streamline standards of care in Scotland, ensuring best clinical practice is achieved for all. The Scottish Heart Failure Hub is a sub-group of the National Advisory Committee for Heart Disease led by Consultant Cardiologists Drs Mark Petrie and Martin Denvir. Specifically developed to examine six key areas within the management of Heart Failure, the Hub is supported by an extensive Steering Group collaborating on each area of improvement. 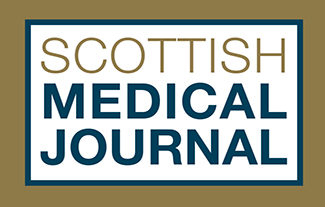 Scottish Medical Journal is a unique international information source for the latest news and issues concerning the Scottish medical community. Contributions are drawn from Scotland and its medical institutions, through an array of international authors. In addition to original papers, Scottish Medical Journal publishes commissioned educational review articles, case reports, historical articles, and sponsoring society abstracts. The Scottish Cardiac Society is one of the sponsors of the SMJ and our members have full access to the journal and archives - please get in touch for your access code. Registered Office: Royal College of Physicians of Edinburgh, 9 Queen Street, Edinburgh, EH2 1JQ.